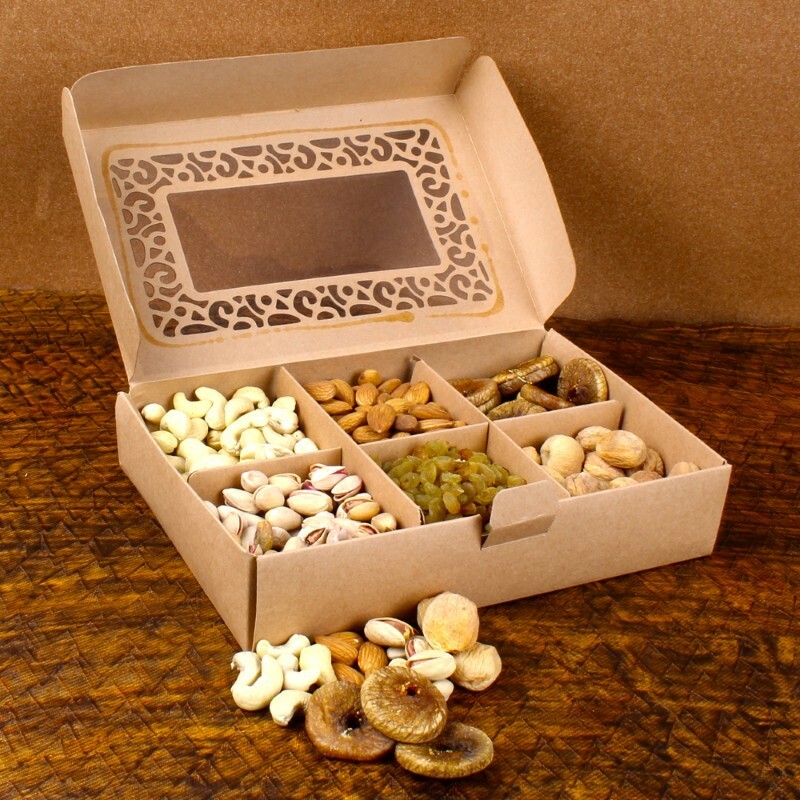 Product Consists : Exclusive Assorted Dry Fruits (Weight : 600 gms) (Cashew, Almond, Dry Apricot, Dry Fig, Raisine and Pistachio) along with Designer Box. 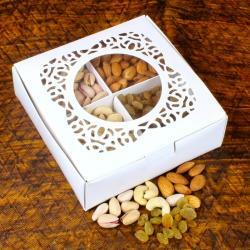 Assorted treat of yummy and crispy dry fruits teamed in a designer box. It contains Apricot, Fig, Cashew, Pistachio Nut, Almond and Raisin. Dry fruits are great for snacking, cooking and baking. these rich and crispy Apricot, Fig, Cashew, Pistachio, Almond and Raisin of premium size and quality. 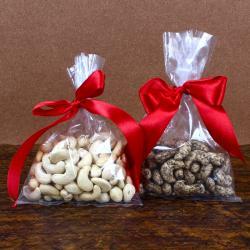 This dry fruits combo includes 100 grams Apricot, Fig, Cashew, Pistachio, Almond and Raisin. 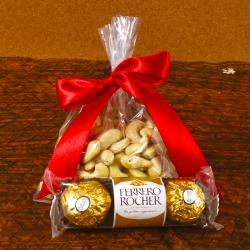 Its longer shelf life property and crispness add to its goodness and make for a perfect gift choice on many occasions. 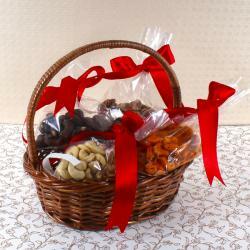 So gift this awesome treat and surprise your near and dear ones and add more more flavor to their celebration. Product Includes : Exclusive Assorted Dry Fruits (Weight : 600 gms) (Cashew, Almond, Dry Apricot, Dry Fig, Raisine and Pistachio) along with Designer Box.